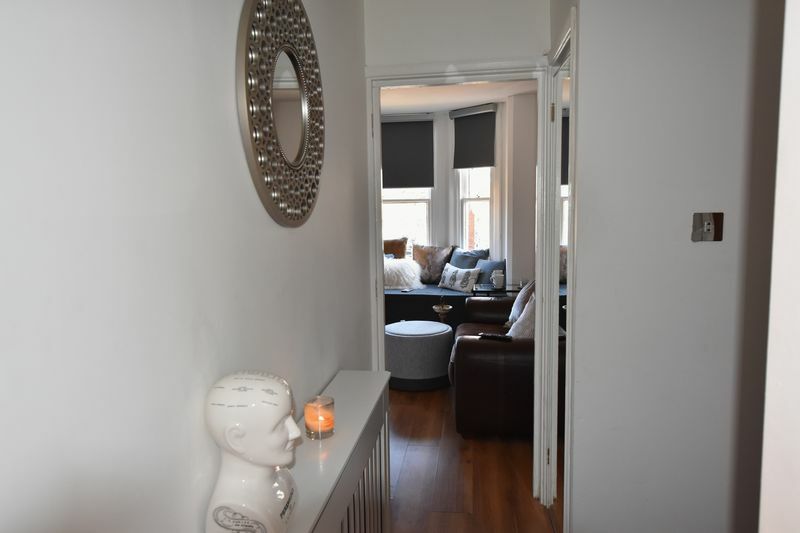 VERY WELL PRESENTED ONE BEDROOM FIRST FLOOR FLAT WITHIN WALKING DISTANCE OF THE TOWN CENTRE. 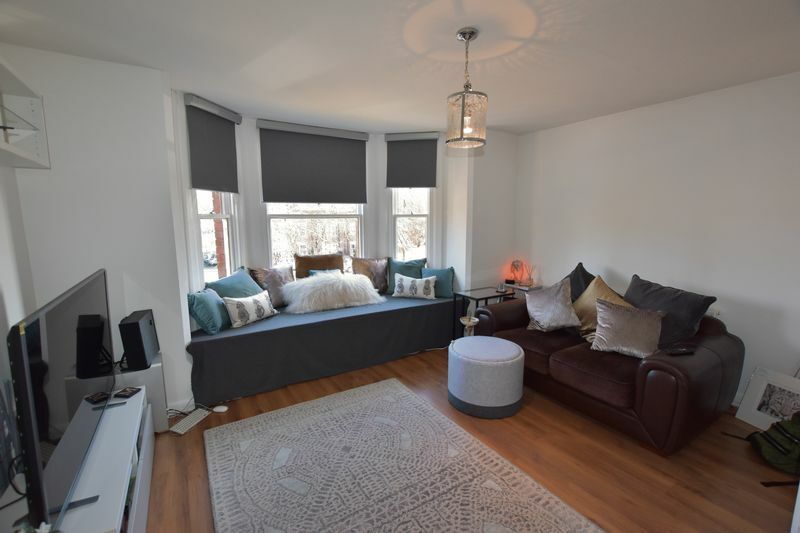 THE PROPERTY OFFERS; REFITTED KITCHEN, REFITTED BATHROOM, DOUBLE BEDROOM AND A GOOD SIZE LOUNGE. 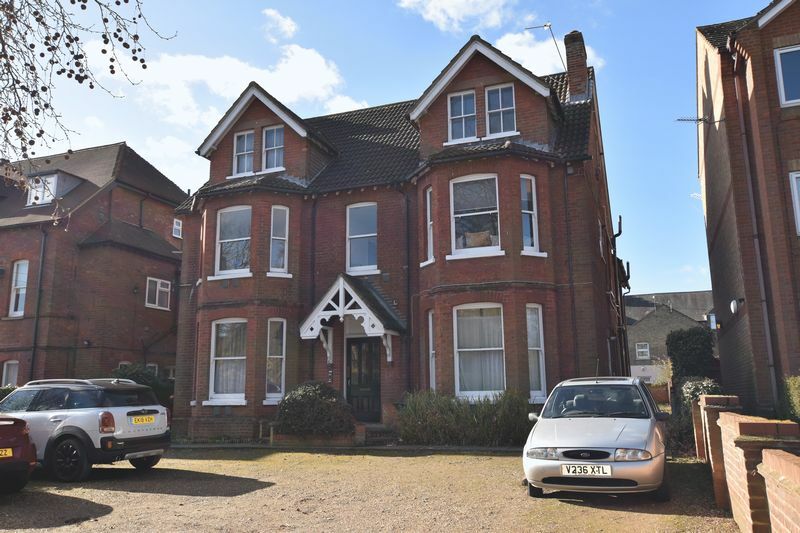 OUTSIDE THERE IS OFF ROAD PARKING AND A LARGE REAR GARDEN LAID TO LAWN. 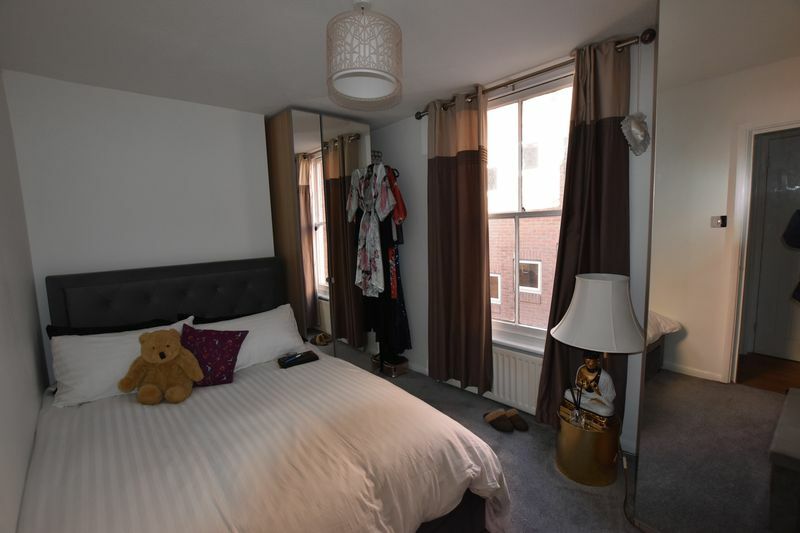 THE TOWN CENTRE AND TRAIN STATION ARE WITHIN WALKING DISTANCE AND THERE ARE AMPLE LOCAL AMENITIES CLOSE BY. THIS WOULD MAKE AN IDEAL FIRST TIME OR INVESTMENT PURCHASE. THE PROPERTY IS AVAILABLE WITH A 98 YEAR LEASE. Via wooden door, laminate flooring, radiator with ornate cover, storage cupboard, further storage cupboard housing washing machine. Wooden bay window to front elevation, window seat with storage, laminate flooring, radiator, tv point, telephone point. 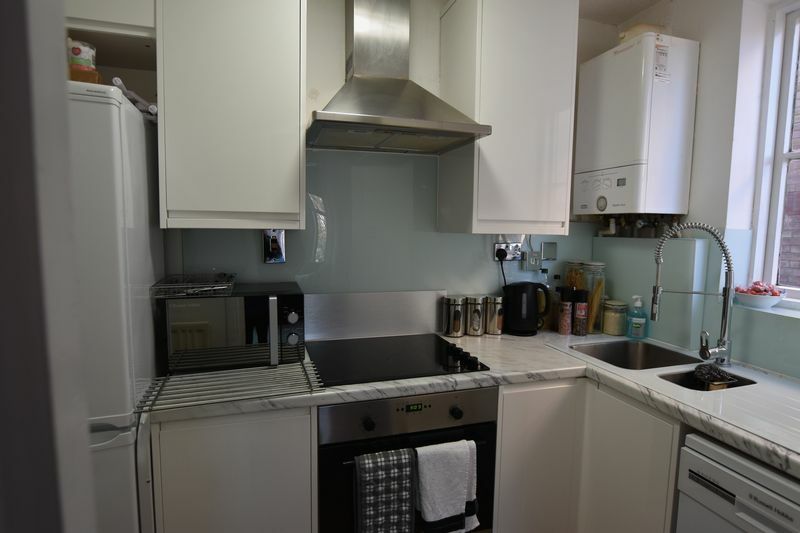 Various waist and eye level units (white high shine), stainless steel sink with extending tap, wall mounted boiler, wooden window to side elevation, space for dishwasher, built in electric cooker with ceramic hob, extractor over, space for fridge/freezer. Wooden sash window to side elevation, space for wardrobe, radiator. 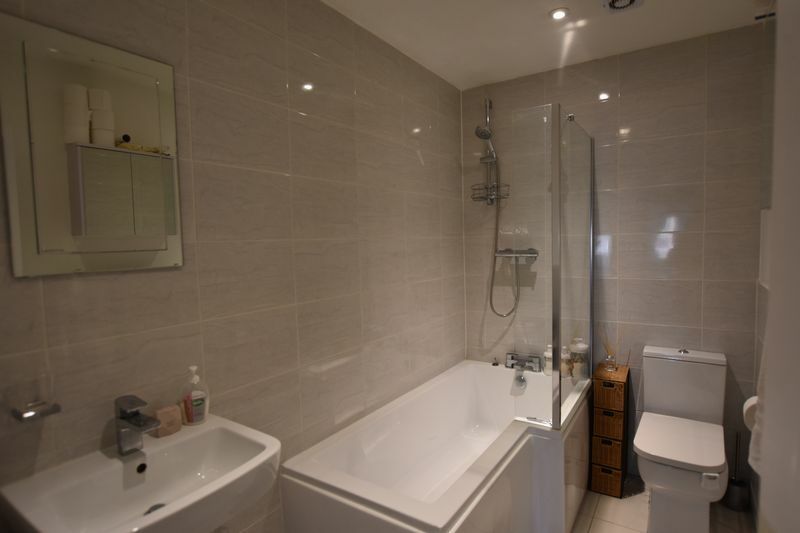 'P' bath with side screen, low level flush toilet, heated towel rail, ceramic flooring, sink with pedestal, inset spotlights, expel air fan, tiling to water sensitive areas. 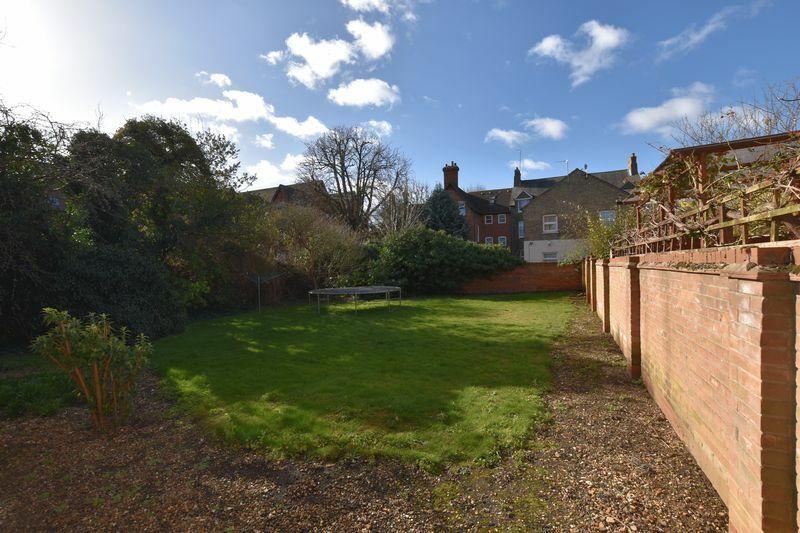 Communal parking, large lawned communal garden to the rear.